Leicester City have agreed a fee of £10 million plus add-ons with Liverpool to sign their Welsh international goalkeeper Danny Ward. The 25-year old Wrexham-born player is one of the most highly-rated young goalkeepers in the country, but has found his way to first-team football blocked at Anfield, especially now the Merseyside club are closing in on the signing of Roma’s Alisson Becker in a world record deal. 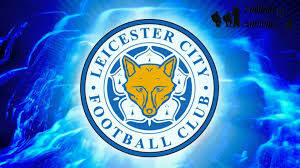 According to Sky Sports Ward will provide stiff competition for current number one keeper at the King Power Stadium, Kasper Schmeichel, who has been first choice at Leicester for seven years, and was an integral part of the Premier League winning squad. Ward, who has four full international caps for Wales has been at Liverpool since 2012, but has only made 2 full appearances for The Reds, with his first-team football confined to loan spells at Aberdeen and Huddersfield Town, where he helped the Terriers secure promotion to the Premier League a season ago.